The Dominican Republic has drafted in 500 workers, including the military and local authority teams, to clean up tons of plastic waste being washed up on its beaches. Residents and conservationists have also joined in the clean-up and an estimated 54 tons of plastic has been cleared over the past few days. Conservationists have warned the waste is threatening the Dominican Republic's reputation as a natural paradise and is harming wildlife. 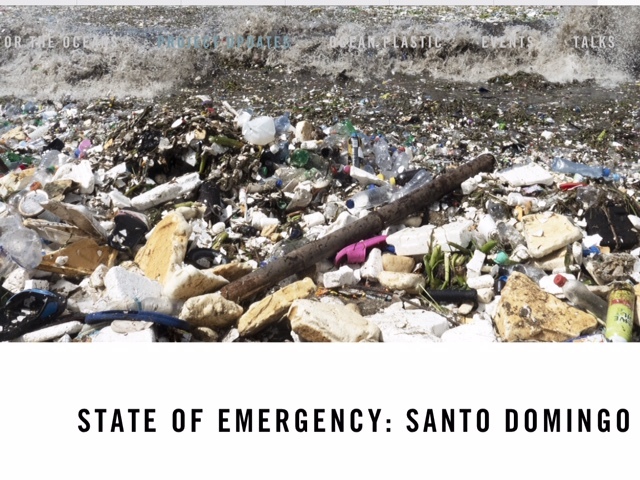 A video has been released by conservation group, Parley, entitled State of Emergency: Santo Domingo, showing the waste being carried by the waves around Montesinos Beach in the city. At certain points, the Caribbean Sea is not visible because there is so much plastic. Parley said: "With wave after wave of plastic waster ashore in the Dominican Republic, Parley teams are on the ground dealing with the world's largest garbage emergency. Unless urgent action is taken, scenes like this will become more common." Parley plans to recycle the plastic and is working with local leaders to help prevent future rubbish build ups. Us in the western world are now becoming familiar to the reality of our global impact. This goes beyond currently recycling practice, or lack of infrastructure in certain countries. Companies and individuals will need to reject and buy produce in zero packaging. Period. Supermarkets say they're reducing plastic waste by the year 2020/22/23 - whatever this may be. Just take a minute when you're in the supermarket to look around, look at the shoppers or market sellers dishing out plastic bags. The amount of plastic is unfathomable.